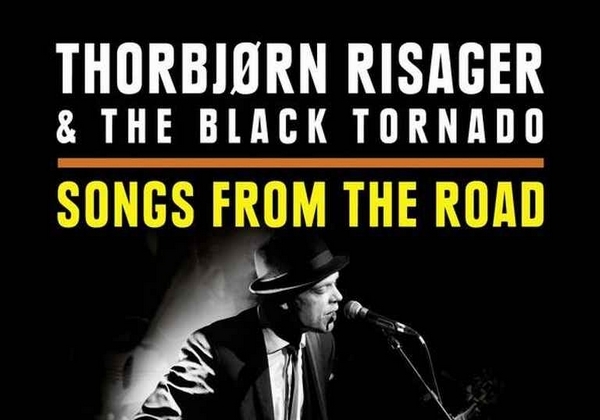 Thorbjørn Risager & The Black Tornado from Denmark are definitely one of the hottest acclaimed acts performing a hot mélange of blues & rock with a fervid addition of rock’n roll, rockabilly, funk and soul. 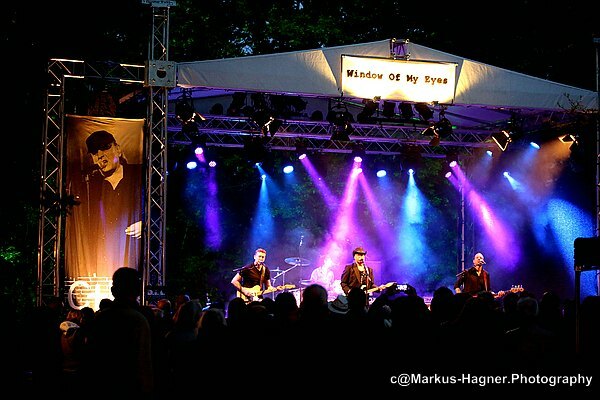 So it was glorious time in April 2015 again at the Harmonie in Bonn to capture them at their Best – “Live & Dangerous” for the famous Ruf recording-series Songs From The Road!The dvd is the explosive, recommendable deal to witness Thorbjørn & his blues-brothers and sisters in stunning film-action.After the introduction by “European Blues King” Thomas Ruf the show started kind of ironically by “If You Wanna Leave”. 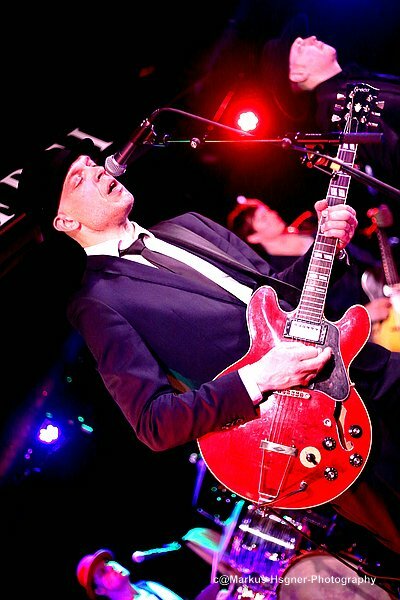 Hell No, by so much torrid power rock, with a buckshot of bluesy rock’n roll no feet were standing still, everybody was so excited for more and the Harmonie was immediately a bedlam. Mister Risager the Danish wolf was howlin’ever so forceful. The horn section, specially Hans Nybo on saxophone were to hoodo with their funky grooves. 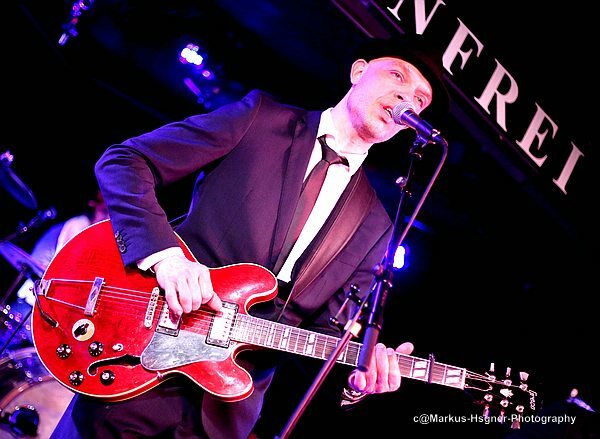 Peter Skjerning on guitars was the devil’s slinger. The frantic musical storm had started at its most electrifying. 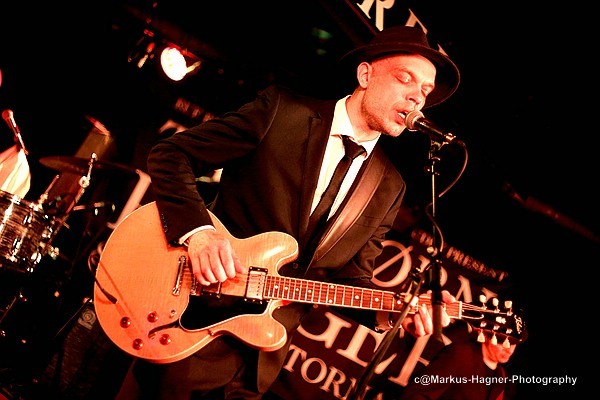 Søren Bøjgaard on bass was the rhyhm-maestro by his intro to the kind of jazzy-carnivalesque “Drowning”, appropriately by sound to the Mardi Gras Capital – Nawlins. 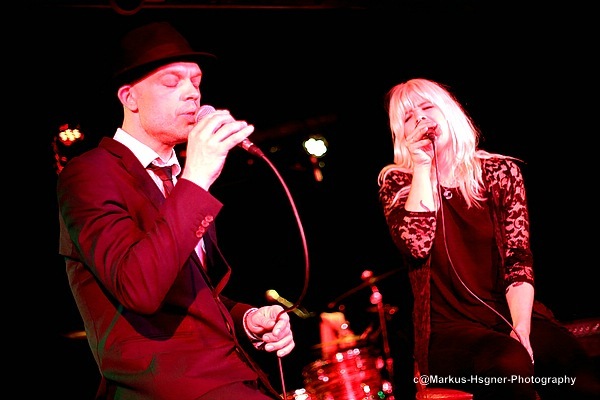 Next it was stompy boogie time with the honky-tonk sorcerer Emil Balsgaard on keyboards. The title song of the last cd by the leader of the pack Risager “Too Many Roads” was ever so fervid by his chant and specially by the bottleneck-solos of axe-dervish Peter. 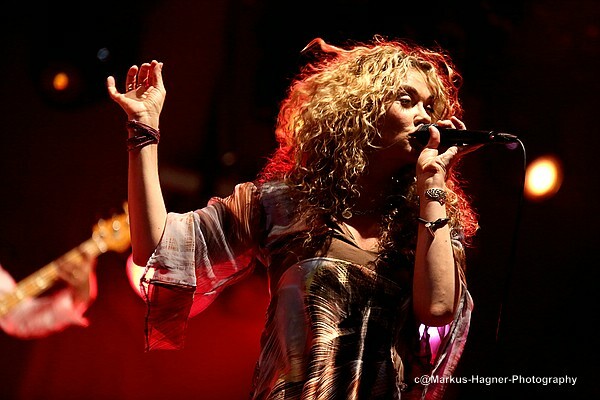 By the refrains pretty vocal background-angels Lisa Lystam & Ida Bang were for the first time relay getting’ in action. By the soulful “China Gate” the audience was granted beautiful, sensitive melodies and a moment to relax. A heavenly ballad and highlight of the evening. Afterward there was power-time again the Texas struttin’ style by “Rock’N Roll Ride” with Risager on devilish vocals and infernal drum-beats of Martin Seidelin. 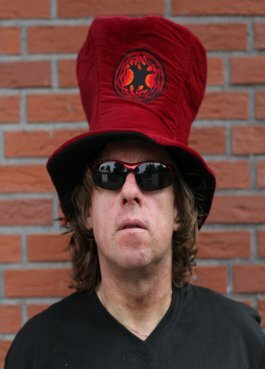 The funk was in the house by “High Rolling” and the lord of the tumpet Peter W Kehl by his solos. The freaks were stunned by so much live-extravagance and the show-time was advancing towards the end, but not without fire-crackers like “Baby Please Don’t Go “ & “Let The Good Times Roll” as regular reelin’ & rollin’ regular set ends. Off course there had to be encores, by the stormy and hailing applause and what a special one first – “I Won’t Let You Down”. 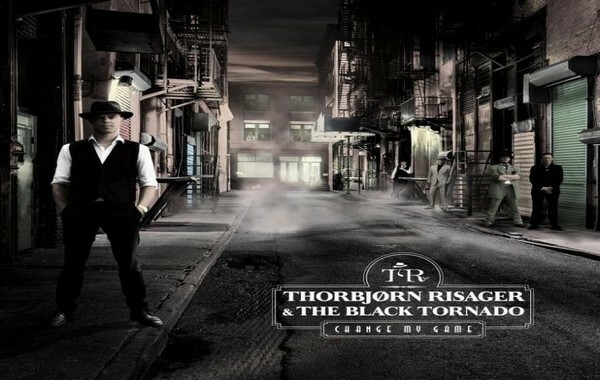 What a brilliant ballad with a country-feeling by Thorbjørn and specially fairy-queen Lisa. The final maximum hammer was the funky- and rollin’ “Opener”. What a wicked song title to kick out the jams a last time, haha. The devilish men and ladies in black had cast out all evil creatures, so the enchanted fans with gloomy eyes were sent home safely. A triumphal stand-out taking in lieu of all musicians was the good-bye. A memorable concert soirée was over, each band member saluted the fans at home with a pleasure-gesture. As end-credit the roadies are shown by their hard-work of putting the instruments, amplifiers, sound and lighting equipment into their cases for the next stop on the road. The cd contains 15 selected highlight-songs from the entire show in fantastic sound. 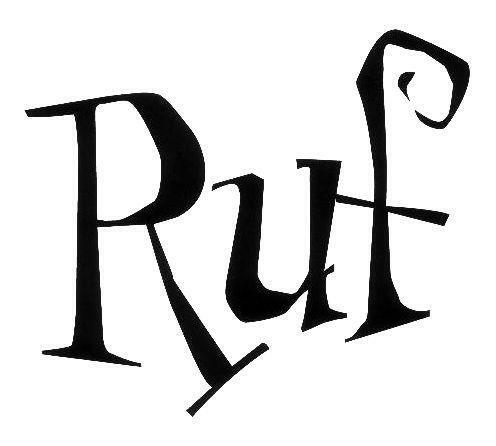 Hot tunes for any party or stress-relieve after a hard day’s work. Play It Loud! 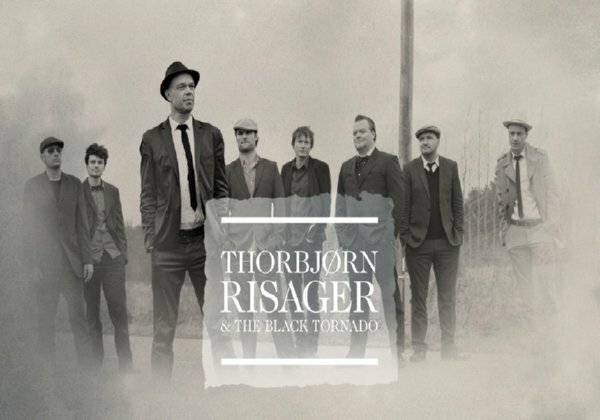 Thorbjørn Risager & The Black Tornado – Dansk Dynamite!